OAKLAND, California — As LeBron James and the Cleveland Cavaliers ran onto the Oracle Arena floor in preparation for a Christmas Day matchup with the Golden State Warriors, Derrick Rose abruptly completed his pregame workout and headed to the locker room to change into street clothes. It wasn’t that long ago that the 2011 NBA Most Valuable Player was viewed as an elite player like James. Knee injuries, however, disrupted what appeared to be a potential Hall of Fame career for the ex-Chicago Bulls star. The three-time All-Star entered this season on his third team in as many seasons as a member of the Cavaliers. 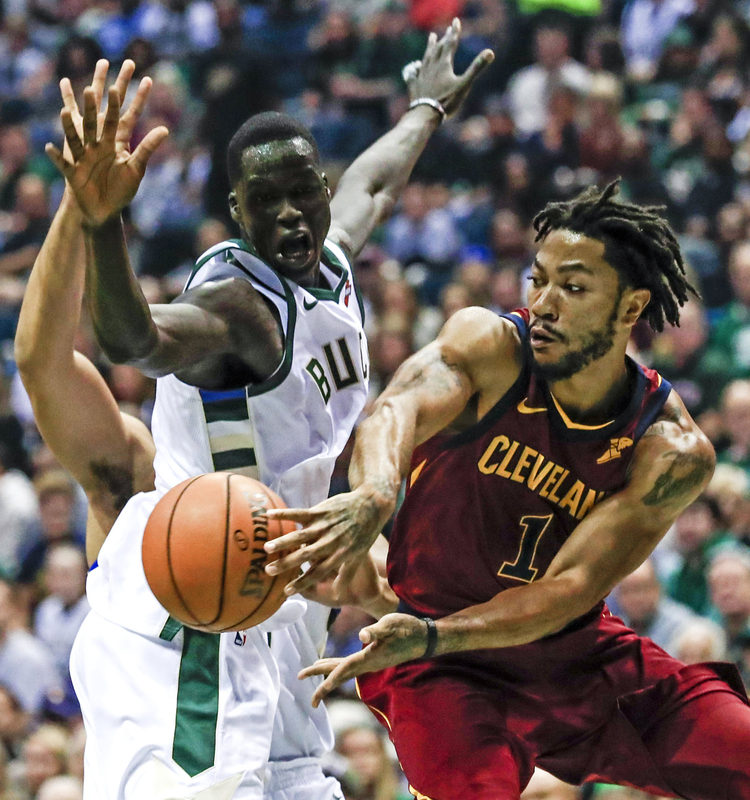 The 10th-year NBA veteran took a leave of absence from Cleveland on Nov. 22 to contemplate his future after being frustrated by an ankle injury that kept him from being able to run. 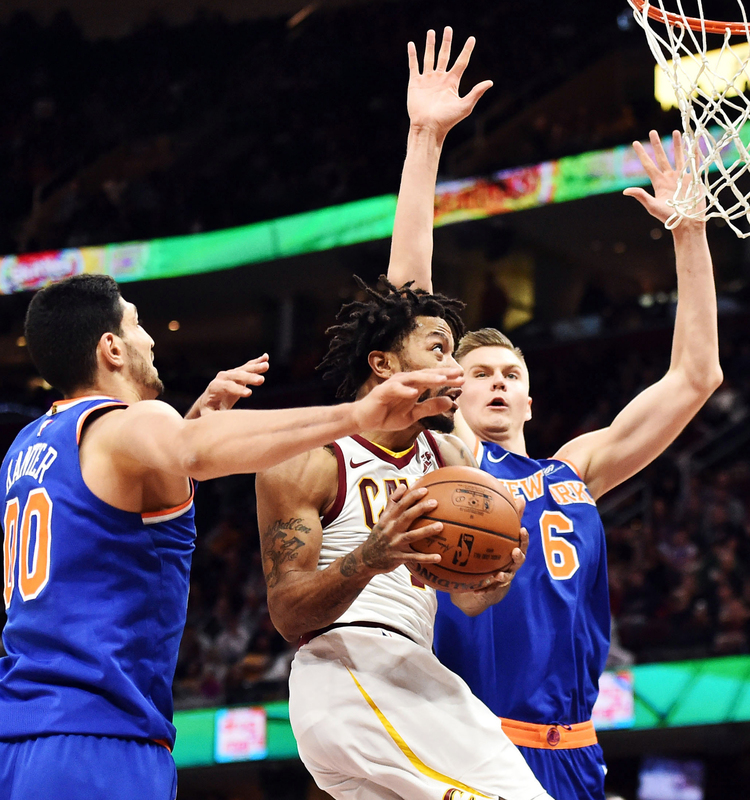 Rose rejoined the Cavaliers on Dec. 4 with no timetable for a return from his left ankle injury, but he wants his fans to know that he is “not depressed,” is improving physically and still loves basketball. “Be patient. I’m good. I’m just taking my time,” Rose said. “You don’t have to worry about me. I’m not depressed. I’m good. A lot of people think I’m depressed because of what I’m going through. It’s the total opposite. I learned from my mistakes three or four years ago when I put myself into a shell. 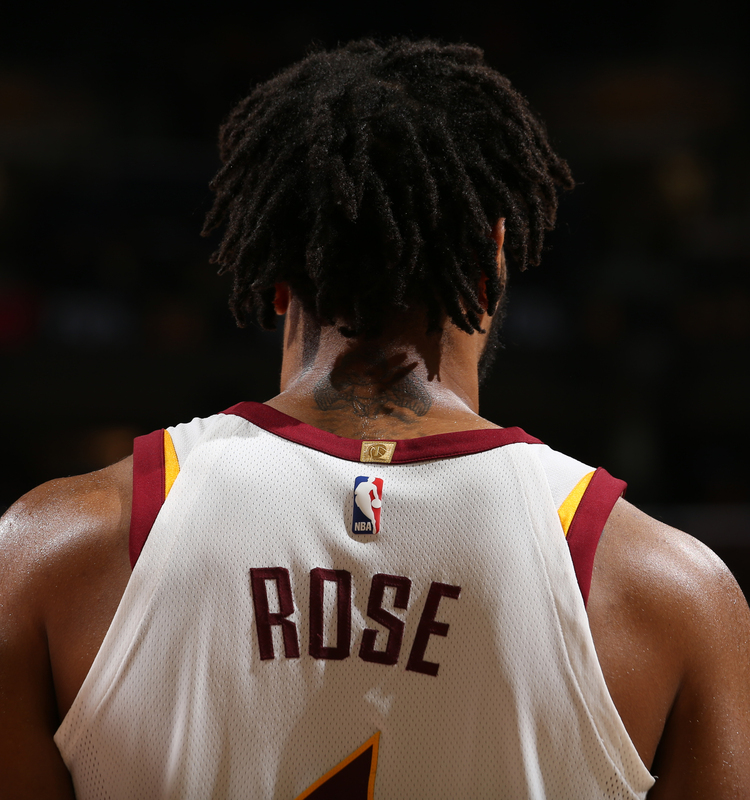 In a conversation with The Undefeated on Monday, Rose talked more about his recovery, playing with James and what it would mean to win a championship. I’m here. That is why I am here. The game is in me. That is why I am here. It’s a part of my life. I can’t explain how much I dedicated and sacrificed in my life for this game. Nobody will be able to understand that. I put in too many hours. Nobody will ever understand it. Why won’t they understand it? You got to be kind of insane to do that. There are only a few people that would put in the hours. I put in those kinds of hours. There are only a few people, I think, in the basketball world or any profession that understand that. How is your body feeling now? I know it has been taking you through some tests and turns. It’s feeling good. I am trying to take it one day at a time. I appreciate everything. I’m mindful of everything. I’m just staying in my routine that I’ve been doing for the last 10 years. What was the toughest day with your body of late? It’s the season. You’re going to have nagging injuries here and there. It’s all about just being professional about it, getting treatment and staying on top of your treatment every day. You tend to have problems when you miss treatment. What kind of support did the Cavaliers give you during your absence? Was it better they just left you alone? They just left me alone. They let me be. I’m grateful to be in this situation to be around my teammates, [general manager] Koby [Altman], the franchise and the front office. It shows that they really care about me. They are happy I’m on the team. Anything you can share that LeBron James offered to you supportwise? No. No. He didn’t have to say anything. It’s all about me coming in and them knowing I want to be a part of the team too. I think they know I want to play in games too. I want to be in the heat of the moment too. It’s all about taking my time and just being smart about it. Did you come close to retiring? No. No. That’s stupid. I don’t want to even talk about that. But I’m just happy that LeBron understood. Do you have any idea about when you’ll return to action? No. It’s really no rush. It’s really about rehabbing my ankle. I’m happy that the rehab is taking care of my problem. Every day or every week I am pressing to something different. It’s good. I think so. Like I said, it’s all about me taking my time. I can’t think about a due date or is this going to be the day. It’s about me making the most of my days, getting treatment and staying atop everything so I can return as soon as possible. What could you do now physically that you couldn’t do a month ago? Run. I couldn’t run. I can run and move around now. People didn’t know that I wasn’t able to move or play ball. I wasn’t able to run around for a month straight because my ankle wouldn’t allow me to. Now it’s progressing. How do you reflect back on your NBA career now? People forget that my first injury was my ACL. A lot of guys would have walked away after that. I already had my contract and all that taken care of, so a lot of guys would have walked away after that. I’ve had five surgeries, and I had an eye [socket] fracture. I’m too far in to just walk away. What keeps you from walking away? I’m in love with the game. The love of the game. I still am a winner. I still love learning the game. Where else can you learn more than from Golden State or [Cleveland]? LeBron has been to the Finals eight times and seven straight years. I played against him a lot of times. I’ve learned so much from him and the whole team. It’s just a fun experience being around this team. What’s the best part of being around LeBron every day? Learning. A lot of people overlook or don’t take it serious when he dominates the game. They are used to him dominating the game. Every game you see him score 32 points, have a triple-double, and he rarely breaks a sweat. A lot of people overlook that. That’s greatness. He makes it look easy. When your [teammates] look better or the game looks easy because of how hard you work, that is greatness, I believe. A lot of people overlook that. Is there a lot less pressure on you now on and off the court than there was in Chicago? Toward the end there wasn’t any pressure. I had Jimmy [Butler] on the team too. A lot of people overlook that. There was never any pressure on the team with me when I was with Jimmy. He shared the load. He shared the burden. It just didn’t work. We shared the load when I was in New York. … Coming here, I am grateful to be able to focus just on basketball. It’s a hell of an experience because I am around good people too. 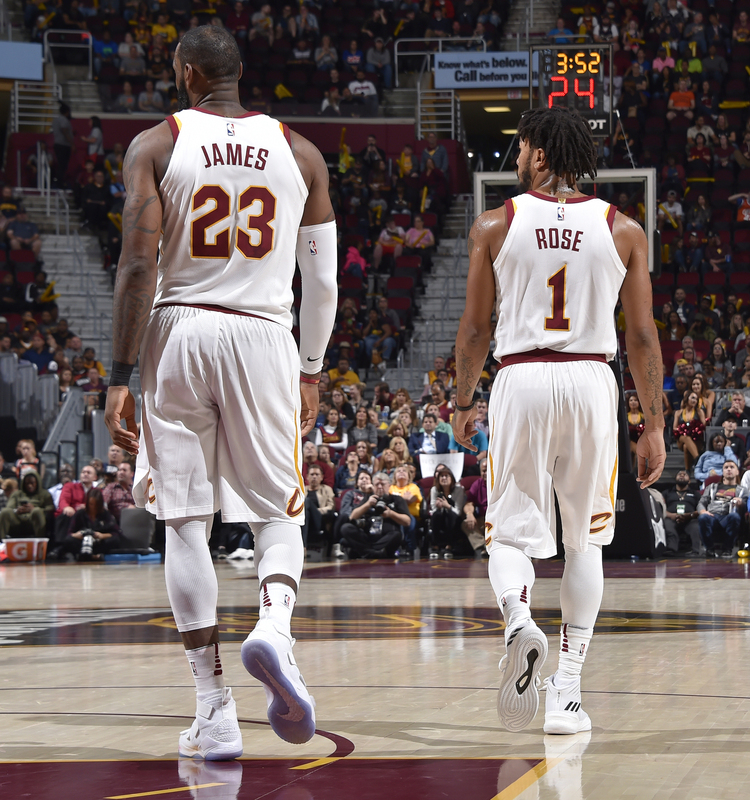 How good can the Cavaliers be if fully healthy? (Guards Isaiah Thomas and Iman Shumpert are also out through injury). I don’t have an idea because you have Isaiah coming back soon, you got myself, I am coming back. We are just learning how to play with each other now. We’ve had some great runs where we’ve played decent basketball. Even with our losses, we were in the game here and there. It’s fun for me because I am able to watch other professionals do what they do and play around a great player. For me being around this team and watching the games from afar, it’s good basketball. I love the way we’re playing. With your awards and All-Star appearances, basically the only thing you’re missing is an NBA championship. What would it mean to become an NBA champion with the Cavaliers? It would mean a lot. That is one of the reasons why I came here. I am in a different part of my career right now. Right now, I am on a great team. I look forward to [being back playing] on this great team. I love the guys who are on the team. I am learning while I am here. It’s a learning experience. I am learning how to really be a champion by the way ’Bron takes care of his body and everything, how the team is close. That’s what it’s all about.